Discussion in 'Server Announcements' started by Harry, Sep 21, 2018. Today we’re announcing our future plans for the network. As I’m sure some of you are already aware, there has been an unfortunate delay in releasing new resets and updates recently due to some members of the management team going inactive and us focusing on other projects. I’m happy to announce that this will be changing going forwards and myth will be making a return better than ever. To help us achieve this, @Cam will be joining us as a new server manager. He will be responsible for handling any issues you may have, getting new updates released and running regular events on the servers. We will be kicking off the new updates by revamping the entire network. This will include resets for all servers, a new hub, tons of content updates, new prizes and new youtube partners coming on board to advertise the network. The revamp will be officially announced and released within the next few weeks once we have worked out a few final details and made sure that everything is ready. As of today the old network and servers are now offline while we prepare the revamp for release. The winners of the Skyblock Map #2 ISTOP are as follows. You will all be sent your gift cards on Discord before the revamp releases. 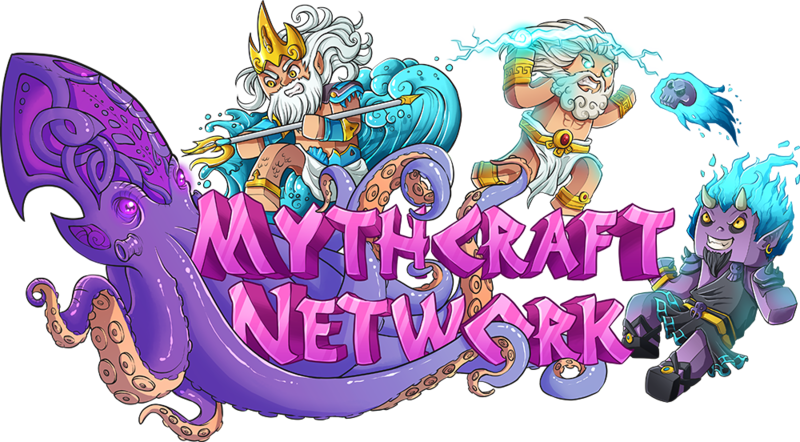 If you have not already, I would ask you all to join our discord server at https://mythcraftpvp.com/discord to stay up-to-date with news on the revamp and the network. Thanks everyone, we hope to see you all soon! lmao we quit and still won 3rd.